OUR GOAL FOR BUYERS: Finding just the right property and negotiating the best possible terms and conditions especially in this competitive sellers market. OUR GOAL FOR SELLERS: Utilizing our specialized research and marketing teams along with our knowledge of the DC, MD and VA markets, we can confidently market and sell any single-family, townhome, condominium or co-op. All material presented herein is intended for information purposes only. While this information is believed to be correct, it is represented subject to errors, omissions, changes or withdrawal without notice. If your property is currently listed with a real estate broker, please disregard this offer. It is not to solicit the offerings of other real estate brokers. Information is deemed reliable but not guaranteed. Not all properties are listed/sold by this advertised agent or broker. NOW 50% SOLD OUT! NOW IS THE TIME TO TOUR OUR NEW MODEL. Schedule your tour of this new collection of four residences located in the historic Kalorama neighborhood of Northwest Washington, features spacious layouts, gourmet kitchens,lush baths, and refined traditional finishes throughout every well-appointed home. CLASSICAL ELEGANCE ON ONE LUXURIOUS LEVEL Each home offers a spacious two-bedroom floorplan with private outdoor entertaining space and curated finishes â&#x20AC;&#x201D; all on one luxurious level. TRADITIONAL LIVING WITH AN INCREDIBLE ADDRESS Located in the heart of Kalorama, Ashmead is a collection of distinctly refined residences with gracious appointments throughout. No detail was spared on this beautifully-appointed, light-filled, 10,000+ square foot home. Luxurious finishes include beautiful Brazilian hardwood floors, elegant architectural details, gorgeous palladium windows plus numerous built-ins and custom window treatments. The two- story foyer and lovely reception area with gracefully curved staircase welcomes you to a stunning open floor plan. This luxurious home with a gated entrance is located near the charming Potomac Village, and convenient to Washington DC, VA and I- 495. • Six bedrooms, including a main floor guest suite, 7 bathrooms, 3 half baths plus a one bedroom apartment above the garage. • Fully equipped kitchen presents a light filled breakfast room, breakfast bar, butler’s pantry, stainless appliances including a gas cook-top, side by side refrigerator, 2 dishwashers, 2 microwaves, 2 wall ovens, and 2 warming drawers. There are 5 mini refrigerators throughout the house. • Private study features beautiful built-ins, a wet bar and separate TV room with full bath that accesses the outdoor pool. • Two side entrances present a main floor laundry room, mud room and walk-in pantry. • Recreation room offers a full wet bar, state-of-the-art home theater and home gym. • Four fireplaces include 3 gas and 1 wood burning. • Elegantly gated spaciousrear garden and magnificent resortstyle gated pool area with hot tub and a waterfall feature • Three car, attached, sideload, heated garage, circular driveway, gated entrance, and exterior accent lighting. • Four Heating/AC zones, 3 hot water heaters, generator, propane gas, home alarm system and multi room audio sound. BERKELEY SPRINGS - CAMP EMMA ESTATE, fronts Sleepy Creek Rare Opportunity. Includes two log homes, 2-story car barn (perfect for the car collector) with apartment above, enclosed pavilion with large outdoor fireplace, additional 2-car garage, with finished second floor. Highest quality construction. PRIVATE. Beautifully maintained, Wooded, landscaped setting. Paved connecting roads. Great family compound, great corporate retreat, non-profit retreat center. Magnificent Getaway, Convenient location: 2 hours to DC, 30 min to Winchester, VA, 30 min to Martinsburg and MARC commuter train to DC. Extraordinary properties. Private, Peaceful, Beautiful. 36+ ACRES $699,000. HISTORIC STONE GEORGIAN 5000 SF HOME, large limestone barn, wonderful stone mill. Rare grouping of historic structures. Home has 6 Br’s, 5 fireplaces. Beautiful grounds, multiple streams, WATERFALL. Handsome large comfortable house, gourmet kitchen, second kitchen, high quality addition. Porches provide pastoral views. Incredibly beautiful mill race with walking path. Works well for family compound or more than one family. Convenient location near I-81, short distance to MARC commuter train to DC. It’s a beauty. Coming Soon. $1,800,000. MAGNIFICENT CUSTOM FULL LOG AND STONE, 8,000 SF home on 186 acres of mostly forested land. Total privacy with big in-ground pool, lit tennis courts, 3-car attached garage, fabulous equestrian facilities. A mile of two lane paved roads, multiple streams, and manicured walking paths. House features all white oak floors, 35’ high great room with stone fireplace, India granite kitchen, full gym and sauna, professional office. Multiple decks, porches, stone terraces. Two separate apartments for guests or managers. A great corporate, non-profit or association retreat, just 100 miles from DC, 25 minutes from Winchester, VA. QUALIFIED OPPORTUNITY ZONE HS 1000148763 - $3,900,000. HARPER’S FERRY, MAGNIFICENT RIVER VIEW WITH INDOOR POOL “BLARNEY,” a brick manor house on 12 acres UNRESTRICTED with fabulous 180 degree, 3-state Potomac River views including the Harpers Ferry Gap, Jefferson Rock and the town of Harpers Ferry itself. 10 minutes from the MARC commuter train to DC. 5700 SF, 4 BR, 3.5BA, interior includes 4 FP, carved moldings, hardwood floors, figured oak details. Also an indoor pool, a separate garage apartment, and a 3500 SF metal workshop. To quote Thomas Jefferson, “The view of the Harpers Ferry Gap is well worth the voyage across the Atlantic.” 1001890462 - $950,000. cmspb1@aol.com www.snyderbailey.com LICENSED IN WV, VA + PA. The Perfect Listing is a Professionally Prepared Listing! My team of experts and I work with sellers to manage total renovations, or small punch lists, whichever is required to achieve maximum value. Our goal is to make sure all of the sellers needs are met, and of course we pride ourselves on getting the home sold in a short period of time! District Home Magazine is a leading source for modern design, architecture, luxury living and exclusive real estate listings. District Home Magazine LLC (herein referred to as DHM) has taken all reasonable care to ensure that the information contained in any DHM media is accurate on the stated date of publication or last modification. 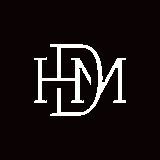 DHM shall not be held liable for any inaccuracies, errors, or omissions in, nor for any delay in provision thereof, for content delivered through DHM print or online magazines, blogs, email newsletters, or other media owned or produced by DHM. Content produced by DHM may from time to time include technical inaccuracies or typographical errors. DHM makes no representations about the accuracy of the information, data, advertisements, graphics, or other content contained in any media owned or produced by DHM. Statements on product or service quality, price, or other features are only opinions and should not be relied on as guarantees nor as offers for sale. ALL SUCH CONTENT IS PROVIDED WITHOUT WARRANTY OF ANY KIND. DHM AND ANY RESPECTIVE SUPPLIERS, AND THEIR EMPLOYEES, MANAGERS, AND OWNERS HEREBY DISCLAIM ALL WARRANTIES WITH REGARD TO THIS CONTENT, INCLUDING ALL IMPLIED WARRANTIES AND CONDITIONS OF MERCHANTABILITY, FITNESS FOR A PARTICULAR PURPOSE,TITLE OF OWNERSHIP, AND NON-INFRINGEMENT. In no event shall DHM or any respective suppliers be liable for any special, indirect, or consequential damages, or any damages whatsoever, resulting from the loss of use, data, or profits, whether in an action of contract, negligence, or other legal action, arising out of or in connection with the use or performance of content owned or produced by DHM. Product, service, or corporate names mentioned in the content owned or produced by DHM may be protected by trademark or similar intellectual property rights of one or several legal jurisdictions. Any mention of such marks by DHM in no way implies that they are not protected under applicable law, nor is it implied that there is any commercial relationship between DHM and that trademark holder. 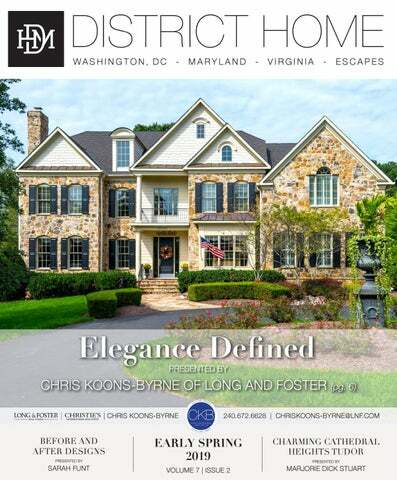 District Home Magazine, LLC advertisers must be licensed to do business as a real estate broker or associate of and/or a company or developer. All homes advertised are subject to the Equal Opportunity Housing and the Federal Fair Housing act and its amendments. Homes advertised in DHM are subject to sale and/or unavailable status without notification. For reprints or change of address, please email info@dhmmedia.com. UNCOMMON Where memories aren’t just made, they’re inspired. CATHEDRAL HEIGHTS NEW Listing! Tudor with unusual charm and original details including arched doorways & decorative molding. 5 bedrooms, 5 full baths plus 2 half baths. Front porch, entry foyer, living room with fireplace & beamed ceiling, formal dining room, kitchen with butlers pantry, amazing family room with high ceiling & skylight. Screened porch, deck and large stone patio. Garage plus 2 car driveway. Lovingly upgraded and maintained by the owners over the last 44 years! Yolanda M. Mamone & McEnearney Associates are pleased to present 3314 45th Street, NW | Washington, DC 20016 Incredible opportunity to own in Wesley Heights at under $2,000,000. Spectacular offering in great location. Expanded brick 3/4 bedroom colonial, 3 full baths & in-law suite sitting on a 7500 SQ FT level lot with two car parking. Updated in 1991 with a Great Room addition 28 x 20 FT with 10 FT ceilings, French Doors, and 10 x 10 FT skylight. Lovingly maintained by the current owner for 30+ years. Mere blocks from Horace Mann, AU, and plenty of shopping! Offered at $1,319,500 To have a confidential conversation about buying or selling a home, contact Yolanda M. Mamone at 202.262.9754 or YMamone@McEnearney.com. 4 BEDS | 4.5 BATHS | 4,880 SQFT The Price House is completely updated with all modern amenities. Huge farm-style Chef ’s kitchen boasting a working fireplace. Large rooms and great space for entertaining. Enjoy pool, custom gazebo, gorgeous terrace and private yard only one block from the majestic Chesapeake Bay! Deaded boat slip allows easy access to all water. Private marina in neighborhood! Minutes from BB... quick travel to DC. Offered at $1,190,000 Private showing upon request. Welcome to this contemporary home conveniently located in the Town of Somerset on a quiet, dead end street. Close proximity to Somerset community pool, the top rated Somerset Elementary School and to a walkway that connects to all the wonderful shopping and amenities of Friendship Heights. The property features an open floor plan, a welcoming two story foyer, four bedrooms and four and half bathrooms, a spa-like master bathroom with large walk-in closet, spacious family room with wood burning fireplace and three walls of large windows for great natural light. The formal dining room and family room open onto the expansive deck for indoor and outdoor entertaining. The lower level features a large recreation room, a full bath and a spacious mechanical/storage room. Garage, laundry room and mud room are located on main floor. The property is offered For Sale and For Rent. BEST RIVER VIEW IN DC! Panoramic unobstructed views of the Potomac River, Key Bridge, Georgetown waterfront—and sunsets! Renovated 2,589 square foot interior with fantastic river views from each main room. Wide balcony and new floor-to-ceiling windows along the entire perimeter. Spacious living room with beautiful wood floors, chef’s kitchen, washer/dryer. Parking included! Amenities include pool, fitness center, 24-hour concierge & doorman service, newly renovated lobby, on-site shopping, plus Watergate Hotel & spa. Next to Kennedy Center and Georgetown waterfront! Offered at $2,995,000. Information deemed reliable but not guaranteed. All measurements are approximate. Not intended to solicit property already listed. This annual event graciously opens historic 18th and 19th century homes in Georgetown to Tour attendees. Tickets are $50 per person online in advance, or $55 per person on the day of the Tour. Ticket includes a Parish Tea at St. Johnâ&#x20AC;&#x2122;s from 2-5 pm. Group prices are available. For more information and to purchase tickets online, please visit www.georgetownhousetour.com. R A R E F I N D I N S H AW ! ! Just Listed!!! Stunning 3 br/2.5 ba townhouse with over 3600 square feet of living space with an awesome curb appeal and location! Today’s layout with an open floorplan offering a huge gourmet kitchen, formal dining space, and a large living room. Fine features include warm hardwood floors, exposed brick walls, high ceilings, crown moldings, a huge master suite with walk-in closet and sumptuous bath, a wonderful party deck & parking at the rear. To top it all off, there is a grand legal 1 bedroom, 1 bathroom rental unit to ease the monthly! The icing on the cake – one of the prettiest streets in DC with a charming park and literally steps to the 14th street corridor, all of the restaurants, shops, & metro! A rare find!!! YOUR DMV TOP-PRODUCING AGENT What would you like homeowners to know about you as an individual? I am licensed in MD,VA and DC . I have been a full time top producer for 27 years. I can’t thank my clients enough! My business has been built by referrals. Our first step is to meet in a quiet conference room to discuss the process of buying or selling Real Estate. It is vital to have a good education in order to have a successful transaction. What’s your favorite room in a house? The kitchen with my husband Andy who is a great cook. Where is your favorite place to escape in the area? I enjoy time on the Golf course. I love to walk my dog Cooper on the C&O Canal. If we’re looking to head downtown we love The Source by Wolfgang Puck. Staying closer to home in Bethesda you can find us at Capital Grille or Raku. What are your hobbies and/or passions? Photography, gardening, and playing golf are my hobbies. Entertaining, traveling and spending time with my family are my passions. What is the best feedback you have received from a client? You will never meet another agent like Sarah Funt. Sarah has that very rare quality where you realize after working with her, that she is absolutely perfect at what she does. She literally hits all the right chords in what you need in an agent working for you. Sarah has an impeccable ability to help you find what you’re looking for, and a great eye to help guide your vision on how to craft what you can’t see. You want someone educated with you while walking through a potential home and believe me she is! What before and after are you most proud of and why? There are so many! I’m always proud of each one for different reasons! I’m most proud when my clients are thrilled with the results and the house sells in multiple offers. What is your favorite room to renovate in a home? Definitely the master bathroom. What is your favorite home design/decor trend? Traditional. When designing a renovation I tend to stick a light color palate with clean classic accessories & fixtures. I believe you can have a traditional home with contemporary features. What is your favorite thing about the spring season? Flowers!!!! Freshly cut lawns, and Lots of Activity!! We especially enjoy extra long walks with our dog Cooper! What do you love most about the DMV area? We live in one of the most beautiful cities in the world. I love our monuments, museums and restaurants. The Capitol building and the Jefferson memorial are my favorites. An attractive and magnificent turnkey Custom Craftsman Home by Rasevic Construction with 6 bedrooms & 5.5 baths. Located in charming Battery Park area just northwest of downtown Bethesda with original neighborhood character and ideally located within a very short distance to metro, park, shops, Battery Park Club House and all other attractions. Strikingly sophisticated spaces lie beyond the front door that blend comfortable family living areas with fantastic entertaining spaces. Inside, approx. 5,500 sq. ft. (600 sq.m) of living space unfolds across an inviting floor plan with finest materials and high-end finishes. Upgrades abound from the two story foyer with wall of windows, extensive crown & boxed moldings, arched doorways & hardwood floors throughout first and second levels to plantation shutters, high ceilings & custom windows that allow plenty of natural light to flow through at any time of the day. The sleek chef`s kitchen is characterized by Carrara counter tops, two dishwashers, wine cooler, high-end appliances (Wolf, Subzero), large island, custom cabinetry and breakfast area all open to a family room with built-in window seating & gas fireplace creating a cozy retreat! The formal spacious dining room & elegant living room with built-ins and wood-burning fireplace impress on every level. On the upper floor, the master suite is a private sanctuary with walk-in closet, custom cabinetry, spa bath with soaking tub, marble floors plus three additional en suite bedrooms and baths, all with granite tops and oversize laundry room. Fully finished lower level with separate guest suite with bedroom and full bath, recreation area/game room, office, full media room with speakers and surround sound system, exercise room, 2nd laundry area, storage area and more. All this plus, one car detached garage with cobblestone driveway, private back yard with flagstone patio and extensive landscaping complete this fabulous home. itâ&#x20AC;&#x2122;s all in the fine details. Journey along the Potomac River South of Old Town Alexandria and you will find idyllic neighborhoods featuring a full spectrum of architectural design and enhancements; and where huge lawns, flowering gardens, boating, water sports, historical sites, trampolines, sport courts, great restaurants, golf, marinas, shopping, tennis and biking are the norm and not the exception. Celebrating 24 YEARS of service to my clients and my community! WHAT: Von ammon co, led by New York-based art curator, Todd Von Ammon, will debut its first gallery exhibition in Cady’s Alley with MENTAL, a solo show of ten new works by critically-acclaimed artist and pioneer of the computer-generated landscape in fine art, Tabor Robak. Previously coined the “Michelangelo” of digital art, Robak takes his signature multi-channel video installations and animated works one step further by experimenting with physical computing in MENTAL. Through a rigorous assembly process and precisely fabricated parts including LED tubing, holographic advertising fixtures, and transparent LCD monitors, Robak is able to transplant virtual object-images into physical space. With moving images, projected light and an often uncanny group of mechanistic assemblages, Robak invites viewers to examine some aspect of his psyche through themes ranging from ecstatic techno-spirituality to the boredom, depression and despair commonly associated with screen time. WHY: Come see why one of New York’s most esteemed curators has partnered with Cady’s Alley, the one and only European-inspired, premier design, art, fashion and home retail destination in the heart of Georgetown, to premiere his first gallery location with ten new pieces for sale by visionary Tabor Robak. validation will be offered for gallery visitors. NEIGHBORHOOD EXPERTS! If you’re looking for an experienced team of real estate agents who are experts in this local area, talk to Dave and JoAnne Adams. They bring a wealth of knowledge and expertise to buying, selling, or investing. The DAVE AND JOANNE ADAMS GROUP is ready to provide the skills that work for YOU! Our goal as full-time realtors is to provide you with the knowledge you need to make informed decisions. Honesty, integrity, experience and commitment to service are the cornerstones of our real estate careers. The award winning ADAMS GROUP welcomes the opportunity to listen to your real estate goals and get to work to make them happen! Pam Ryan-Brye is a top producing agent in the #1 office of Long & Foster Realtors. Listed among the Top 1% of Realtors nationwide and one of the top 150 of Long and Foster’s agents, she is a member of Long and Foster’s prestigious Founder’s Club. Her commitment to providing outstanding service helps make the experience of selling or buying a home as enjoyable as possible. By offering various options and evaluating all possibilities, Pam is instrumental in assisting her customers to achieve their real estate hopes and dreams. I can advise you and assist with the purchase. In a nutshell, I can help you, family and friends with any of your real estate concerns. I look forward to assisting you! All the Best, Pam Ryan-Brye This is not intended to solicit property currently listed for sale. 4921 Cumberland Avenue | Chevy Chase, MD 20815 | $1,395,000 Whimsical and Sunny. Unparalleled location, views and space. Overlooking a spectacular one-third of an acre yard and parkland in the close-in, convenient to everything Town of Somerset. Tastefully renovated over the years with a two story addition by noted architect Harry Montague. Sun-drenched rooms, high ceilings, walls-of-glass, interesting angles and exquisite views throughout. Dramatic open family room, home office, updated kitchen and master bedroom with tree top vistas. Dine alfresco on the large deck on a starry summer night or enjoy a game of soccer in the fabulous backyard. Somerset Elementary School is up the street. The paths to the biking and jogging trails of the Capital Crescent Trail and Norwood Park are at your doorstep. Close to all the Town of Somersetâ&#x20AC;&#x2122;s superb amenities--swimming pool, tennis courts, batting cage, and basketball courts. Near Metro and the social life and restaurant scene of downtown Bethesda and Friendship Heights. Private waterfront estate in Southern Maryland. Welcome to Creekside! Unique, custom designed 6,200 square foot two story home resting on 7.48 acres on (protected) deep creek. Featuring: 4 bedrooms, 3.5 baths, country kitchen, butlerâ&#x20AC;&#x2122;s pantry with wet bar, family room with vaulted beamed ceiling, game room/den, large second story loft, formal living room opening onto a screened porch over looking the pool, patio and gazebo, large pier with two lifts and so much more! Must see. Call for private showing. Pre - Appraised - April 2019 - Beautiful home resting on .64 acs. with 4 bedrooms, 3.5 baths, formal living and dining rooms, library with built ins, family room with fireplace, sun room, large eat in kitchen with lots of cabinets and storage, exercise room, office, laundry room, sewing room, gift wrap room, furnace storage room, large unfinished storage area in lower level. Other features: Underground sprinkler system, elevator, generator, patio, shed, double jazz tub and large walk in closet in master. Please make appointment to see this home. 39585 Alicia Court | Breakwater Beach | $1,690,000 Located in the gated community of Breakwater Beach in North Bethany Beach is where you’ll find this elegant home that speaks of the pride of ownership. This delightful oceanblock retreat offers ample indoor and outdoor living areas. The sunny great room has high sloped ceilings, fireplace and walls of windows to take advantage of the views. The eat-in kitchen opens to the deck for easy access when grilling summer meals. The lower level den provides an escape to unwind. Designed for family enjoyment, this home features 5 large bedrooms and 4 baths. Multiple decks and screened porches provide ample outdoor space for entertaining and relaxing. The uncrowded, pristine beach is just steps away. More than a home . . . it’s a lifestyle that can be yours! Call today for the details. Southern Maryland....Weâ&#x20AC;&#x2122;ve got you covered. 630 Magothy – $6,500,000 Built in 2014, this is a stunning waterfront property on the Magothy River representing the finest combination of amenities for buyers desiring a high-end, turn-key luxury home. Situated on a 2.46 acre wooded private lot with glorious views of the Magothy River and the southwest sky with its resplendent sunsets, this masterpiece 11,200 square foot plus Shingle Style house was designed by Vincent Greene Architects and built by Pyramid Builders, one of the region’s top builders of distinctive houses. This magnificent home offers a main level with an open floor plan perfectly suited for today’s living and entertaining needs, an upper level with five bedrooms, each with en-suite bathrooms, including a superb master bedroom suite; a partially finished lower level with exercise room, potential sixth bedroom, and ample unfinished space for additional living space. Outstanding amenities and so much more complete this elegant home. GIBSON ISLAND ONLY 60 MINUTES FROM WASHINGTON WITH NO BAY BRIDGE CROSSING Private Island ... Security ... Gorgeous Setting ... Relaxed Lifestyle ... Perfection Come see for yourself ..... you will only wish you’d come sooner! By Appointment Only. Tours Provided. 701 Broadwater – $2,975,000 Absolutely lovely original 1928 waterfront property with stunning views of the Chesapeake Bay and the Bay Bridge. Full of vintage charm and character with jaw-dropping water views throughout most rooms, this special property offers 5 bedrooms, 3 full baths, a gourmet kitchen, sunroom, cozy den, large living room, spacious dining room and magnificent new deck along the entire Bay side of the home. Fully bulk-headed with a large level Bay side lawn and access to a sandy beach, this property is waterfront living at its best! A 43-acre fresh water lake for fishing, swimming, canoeing, kayaking and paddle boarding is a very short walk from this wonderful property! 430 Magothy - $2,595,000 With 380 feet of shoreline on the Magothy River, this gorgeous lot is surrounded by numerous additional acres of wooded undeveloped land. Tailor-made for a nature lover, and offering complete privacy, a spectacular lot of this size is an extremely rare offering on Gibson Island. Renowned Washington D.C. architect Robert Gurney has created conceptual designs for a stunning contemporary home and pool to be built on this property, creating the opportunity to experience the surrounding natural environment from the home’s sleek interior, pool deck and courtyard. If you are seeking the amenities of living on Gibson Island and the ability to build the home of your dreams, this is a once in a lifetime opportunity. 1627 St. Giles – $1,350,000 Situated on a private, prime waterfront twoacre lot, 1627 St. Giles enjoys beautiful views of Otter Pond. Designed and occupied by renowned Baltimore architect, Bryden Bordley Hyde, this mid-century modern home sits up high on this gorgeous wooded property catching the prevailing winds that sweep up the Chesapeake Bay and Otter Pond. Built in 1950, the home has five bedrooms and 4 ½ baths and offers lovely lake views from most of the rooms. The large overhanging roof allows the warmth of the sun to pour into the living areas in the winter while blocking the hot sun in the summer. An application for dock approval is pending, and the property successfully perced in March 2019. Whether a renovation or new build, this is indeed a special opportunity to put your stamp on a wonderful location on Gibson Island! 748 Skywater Road - $4,250,000 ARCHITECTURAL CLASSIC This stately 1990 waterfront architectural classic sited on 1.4 plus acres offers breathtaking panoramic views overlooking the Magothy River, Gibson Island Point and the Chesapeake Bay. Magnificent craftsmanship and top-of-the-line finishes throughout this substantial, three-level solid brick home offering seven bedrooms, five full baths, a gourmet kitchen, living room, dining room, study/den, family room; virtually all with stunning water views. There is also an enormous unfinished basement. This spectacular property boasts ten-foot ceilings, five fireplaces, a three-stall matching brick garage, privacy and serenity, and is beautifully landscaped. Enjoy sunsets and sunrises from the beautiful patio and swimming pool. 1745 Banbury – $775,000 This is an incredible opportunity to own a home on Gibson Island on a beautiful .82-acre lot adjacent to the ninth hole of the Gibson Island Club golf course and Gibson Island Corporation land.With lovely bucolic views, this contemporary, two-level home with redwood siding offers three bedrooms, three full baths, an "L" shaped living room/dining room, cozy den, table-space kitchen with counter bar, office by separate access, twocar garage with separate storage for golf cart and lawnmower. Should the buyer desire a larger home via expansion or new build, this property has received County and State approvals for a 3755 square foot, four-bedroom home. Documentation permitting this is available and has been recorded in the Anne Arundel County Land Records. Additional approvals will be required from the Gibson Island Corporation and the County. Please see our fine estates and exclusive country properties by visiting THOMAS-TALBOT.com Offers subject to errors, omissions, change of price or withdrawal without notice. Information contained herein is deemed reliable, but is not so warranted nor is it otherwise guaranteed. The fine fragrance of roasted flavours, the taste of a perfect “Caffè Italiano“ The colour of this kitchen is reminiscent of the sensuous art of coffee. The dark characterful chestnut wood, shimmering virtually in bronze on the surface, gets together with super-matt surfaces to create a sensuous look. Thanks to the minimalist design and clean lines of this plan, you get an elegant, even glamorous effect which makes a strong statement in every living area: this kitchen brings emotion, individuality and a touch of contemporary expanse into the building. Calm elegance thanks to closeness. This homely kitchen concept presents a clear separation of the functional and working areas defined by the materials. All surfaces are clad, resulting in an aesthetically compelling formal closeness; thus creating the calm, elegant overall appearance of this kitchen. The majority of the storage cupboards – these surround the working area – feature homely, warm chestnut wood. Its large-scale veneer with visible surface – structure almost seems bronze after its thermal handling, giving the kitchen a special quality and lightness. fo r u p to t he m in ut e in fo rm at io n! Entertain in style in this stylish seaside abode. Spacious 1st floor and 2nd floor Masters, detached 1 car garage, generous front porch. Newly constructed. Just over 1 block to the beach. South Reho; $1,798,000. Owner licensed DE REALTORs. 84 Kalorama Circle NW Perched atop Rock Creek Park, 84 Kalorama Circle offers sweeping views of the park and Taft Bridge. An elegant European-style home with four finished levels, featuring over 6,000 SF of gracious living space, embassy sized rooms on the first floor and spacious living quarters upstairs. Built in 1925, the interior of this property has high ceilings & exquisite architectural detailing. An elevator services the garage level, first and second floors. Sold in 10 days for $4,000,000!